On Grief and Reason is a collection of twenty-one essays, all but one written since 1986. Of these, some are without question on a par with the best of his earlier collection, Less Than One. In “Spoils of War,” for instance—an essay classical in form, light in touch—Brodsky continues the amusing and sometimes poignant story of his youth, using those traces of the West—corned-beef cans and shortwave radios as well as movies and jazz—that found their way through the Iron Curtain to explore the meaning of the West to Russians. Given the imaginative intensity with which they pored over these artifacts, Brodsky suggests, Russians of his generation were “the real Westerners, perhaps the only ones.” The breadth of the essays is impressive ranging from topics unfamiliar to me like "Profile of Clio" to others that were closer to home; the latter included essays on reading, Horace, and Stephen Spender. While there were magnificent commentaries such as "Homage to Marcus Aurelius", a vision of the man that only someone with a poetic imagination could obtain. Brodsky sees through the ages into the loneliness and endurance of a good ruler. He ends the essay with the most appropriate words, those of Marcus Aurelius himself. This collection of essays is valuable for insight and inspiration, and I return to it as I do with any classic anticipating further encouragement on the road to wisdom. On Grief and Reason: Essays by Joseph Brodsky. Farrar Straus Giroux, 1995. Dylan Thomas' poetry is filled with music and movement - evocative of nature and nostalgia. This poem by Dylan Thomas is one of my favorites among the many wonderful poems by this amazing poet. I have shared it before, but with October waning I thought it was time to share it again. Marcel Proust's narrator for In Search of Lost Time said, "A change in the weather is sufficient to recreate the world and ourselves anew." 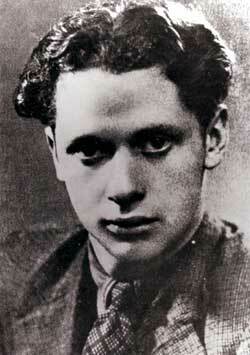 I hope you will find similar thoughts expressed by Dylan Thomas in his Poem in October. The Rise of Theodore Roosevelt is the first volume of a trilogy by Edmund Morris that comprises the biography of United States President Theodore Roosevelt. The remaining volumes, Theodore Rex and Colonel Roosevelt were completed over the following thirty years. It was a massive undertaking, but based on my reading of the first volume it was well worth the time spent. Morris covers the time from Roosevelt's birth through his ascendancy to the Presidency in the Rise. It includes the Roosevelt family history starting with his parents influence, his turbulent childhood illnesses, education, involvement in politics and accomplishments in politics that prepared him to be one of the most influential presidents of the modern era. Specific topics include the philosophy of Theodore's father, mother, and his family. His passion for learning despite severe illness is well documented. Most important was his relentless development of both his mind and his body. He reportedly read the equivalent of one book per day and his many sojourns in the western "Badlands" were a testament to his physical strength. Morris examines his life as a young politician driven by a sense of public duty and stewardship, and captures multiple aspects of the events that shaped his character and public persona. His oratorical ability was amazing and the charisma that he developed through his relentless pursuit of his goals was demonstrated again and again. Morris touches upon events from early childhood, education and hobbies, travels in Europe and Africa, New York legislature, frontier life, Assistant Secretary of the Navy, the Rough Riders and victory in Cuba, and his time as Governor of New York. The detail of his development as a reformer from days on the Civil Service Commission and as Police Commissioner in New York City through to his term as Governor of New York sets the stage for what will become a continuing theme as he moves onto the national stage. His campaign skills, both in support of McKinley's first term and during his Vice Presidential campaign were tremendous. Overall this is one of the most impressive Presidential biographies that I have read. It truly deserved the award of both the Pulitzer Prize and the 1980 National Book Award in Biography. Writing en route to Cuba during the Spanish-American War, Theodore Roosevelt envisioned the coming campaign as "the first great triumph in what will be a world movement." That movement—the emergence of the United States as a world power—is the subject of this thoughtful approach to the history and diplomacy of the era of the Spanish American War. The first half of the book, after an overview of the United States in 1898, consist of essays on five men who exemplified the expansionist movement and played a part in its development. They include the poet, journalist, and diplomat John Hay; Alfred T. Mahan, theorist of sea power; Elihu Root, corporation lawyer, government administrator, and presidential adviser; Senator Henry Cabot Lodge, expansionist spokesman and mentor of Theodore Roosevelt, and finally, TR himself. Mahan narrates the stories of these lives of the leaders of this era with attention to their accomplishments and, in the cases of Alfred T. Mahan and Elihu Root, these were a revelation to me. The second half of the book was a more traditional history of the era and in it the author, while decrying the advent of American imperialism, betrayed his own preference for big government. He concludes with an analysis of the legacy on the twentieth century of the expansion led by these five men: the creation of an authentic American Imperialism (for better or worse), the preparation of the United States to be a great power, the first comprehensive assertion of of U. S. security interests abroad, the creation of foreign policy priorities in human rights and stability, and finally strengthening the American presidency. This final legacy has grown unwieldy at the beginning of our new century. Overall Zimmermann's book was an excellent historical overview of a formative period for American foreign relations. First Great Triumph by Warren Zimmermann. Farrar, Straus and Giroux, 2002. 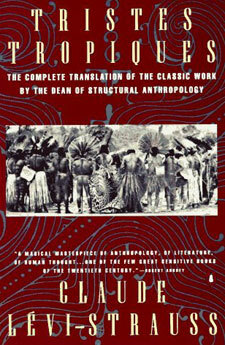 This book combines biography, autobiography, history, anthropology and art history. But above all The Hare with Amber Eyes is the story of a family. It is a memoir about their story over five generations as they moved around the globe from Odessa to Tokyo. It is a story of leavings and relationships intertwined with the history of Europe from the end of the nineteenth century through the end of the Second World War. It is also a story of a family whose experience and familiarity with the likes of Proust, Rilke, Japanese art, the rue de Morceau, and the society of the Ringstrasse in Vienna adorn their intimate family memories. Edmund de Waal is the descendant of the founder of a family, the Ephrussis, that had once been as rich as the Rothschilds but saw their wealth reduced to a collection of tiny Japanese wood and ivory carvings known as netsuke. His desire to discover the story of his family led him to investigate how this occurred and write this memoir. It is a beautifully written book that highlights the literary, artistic, and historical events that surround the major figures in the family. But It begins in fin de siecle Paris (where part of the family had moved after leaving Odessa) before moving to Vienna where the family would be ensconced in the Ringstrasse for the early decades of the twentieth century. All that would change with the coming of the Nazis and the destructive force of war in Europe. At their height the Ephrussi were patrons of numerous geniuses – an aunt, Elizabeth, was a correspondent of the poet Rilke. Charles features in a famous Renoir painting and bought a picture of asparagus fresh from Manet’s studio. In their story one can see evidence Thomas Mann’s principle that, in great dynasties, the first generation makes money, the next spends it on art and the final ruin of the house is the last generation who become artists. What impressed me, as it has other readers, was the importance of art and literature in this family. This is on prominent display in the section set in Paris that describes the family's connections with the impressionist and symbolist movements. The author's own interest in art and ceramics pervades the story and insures that his search will highlight these areas. It is a search that begins in Japan with his Uncle Ignace (Iggie), who died in 1994 in Tokyo. De Waal inherits the collection of netsuke that includes "The Hare with Amber Eyes" and he proceeds to investigate the story of his family and of the netsuke collection that represents their heritage. The memoir is a tale told modestly and subtlety, and its power grows through the small moments de Waal shares as he uncovers his family's history. The Hare With Amber Eyes by Edmund de Waal. Picador Books, 2010. Writing is a strange invention. One might suppose that its emergence cold not fail to bring about profound changes in the conditions of human existence, and that these transformations must of necessity be of an intellectual nature. The possession of writing vastly increases man's ability to preserve knowledge. It can be thought of as an artificial memory, the development of which ought to lead to a clearer awareness of the past, and hence to a greater ability to organize both the present and the future. After eliminating all other criteria which have been put forward to distinguish between barbarism and civilization, it is tempting to retain this one at least: there are peoples with, or without, writing ; the former are able to store up their past achievements and to move with ever-increasing rapidity towards the goal they have set themselves. whereas the latter, being incapable of remembering the past beyond the narrow margin of individual memory, seem bound to remain imprisoned in a fluctuating history which will always lack both a beginning and any lasting awareness of an aim. Claude Levi-Strauss, Tristes Tropiques, "A Writing Lesson", p 298. – a dialogue between Socrates and Phaedrus written down by the pupil of Socrates, Plato, in approximately 370 BC. Soc. Enough appears to have been said by us of a true and false art of speaking. Soc. But there is something yet to be said of propriety and impropriety of writing. Soc. Do you know how you can speak or act about rhetoric in a manner which will be acceptable to God? Phaedr. No, indeed. Do you? Soc. 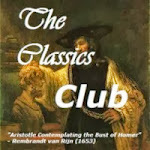 I have heard a tradition of the ancients, whether true or not they only know; although if we had found the truth ourselves, do you think that we should care much about the opinions of men? Phaedr. Your question needs no answer; but I wish that you would tell me what you say that you have heard. Soc. At the Egyptian city of Naucratis, there was a famous old god, whose name was Theuth; the bird which is called the Ibis is sacred to him, and he was the inventor of many arts, such as arithmetic and calculation and geometry and astronomy and draughts and dice, but his great discovery was the use of letters. Now in those days the god Thamus was the king of the whole country of Egypt; and he dwelt in that great city of Upper Egypt which the Hellenes call Egyptian Thebes, and the god himself is called by them Ammon. To him came Theuth and showed his inventions, desiring that the other Egyptians might be allowed to have the benefit of them; he enumerated them, and Thamus enquired about their several uses, and praised some of them and censured others, as he approved or disapproved of them. It would take a long time to repeat all that Thamus said to Theuth in praise or blame of the various arts. But when they came to letters, This, said Theuth, will make the Egyptians wiser and give them better memories; it is a specific both for the memory and for the wit. Thamus replied: O most ingenious Theuth, the parent or inventor of an art is not always the best judge of the utility or inutility of his own inventions to the users of them. And in this instance, you who are the father of letters, from a paternal love of your own children have been led to attribute to them a quality which they cannot have; for this discovery of yours will create forgetfulness in the learners' souls, because they will not use their memories; they will trust to the external written characters and not remember of themselves. The specific which you have discovered is an aid not to memory, but to reminiscence, and you give your disciples not truth, but only the semblance of truth; they will be hearers of many things and will have learned nothing; they will appear to be omniscient and will generally know nothing; they will be tiresome company, having the show of wisdom without the reality. Phaedr. Yes, Socrates, you can easily invent tales of Egypt, or of any other country. Soc. There was a tradition in the temple of Dodona that oaks first gave prophetic utterances. The men of old, unlike in their simplicity to young philosophy, deemed that if they heard the truth even from "oak or rock," it was enough for them; whereas you seem to consider not whether a thing is or is not true, but who the speaker is and from what country the tale comes. Phaedr. I acknowledge the justice of your rebuke; and I think that the Theban is right in his view about letters. Soc. He would be a very simple person, and quite a stranger to the oracles of Thamus or Ammon, who should leave in writing or receive in writing any art under the idea that the written word would be intelligible or certain; or who deemed that writing was at all better than knowledge and recollection of the same matters? Phaedr. That is most true. Soc. 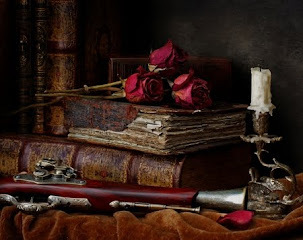 I cannot help feeling, Phaedrus, that writing is unfortunately like painting; for the creations of the painter have the attitude of life, and yet if you ask them a question they preserve a solemn silence. And the same may be said of speeches. You would imagine that they had intelligence, but if you want to know anything and put a question to one of them, the speaker always gives one unvarying answer. And when they have been once written down they are tumbled about anywhere among those who may or may not understand them, and know not to whom they should reply, to whom not: and, if they are maltreated or abused, they have no parent to protect them; and they cannot protect or defend themselves. Phaedr. That again is most true. Soc. Is there not another kind of word or speech far better than this, and having far greater power-a son of the same family, but lawfully begotten? Phaedr. Whom do you mean, and what is his origin? Soc. I mean an intelligent word graven in the soul of the learner, which can defend itself, and knows when to speak and when to be silent. Phaedr. You mean the living word of knowledge which has a soul, and of which written word is properly no more than an image? Soc. Yes, of course that is what I mean. And now may I be allowed to ask you a question: Would a husbandman, who is a man of sense, take the seeds, which he values and which he wishes to bear fruit, and in sober seriousness plant them during the heat of summer, in some garden of Adonis, that he may rejoice when he sees them in eight days appearing in beauty? at least he would do so, if at all, only for the sake of amusement and pastime. But when he is in earnest he sows in fitting soil, and practises husbandry, and is satisfied if in eight months the seeds which he has sown arrive at perfection? Phaedr. Yes, Socrates, that will be his way when he is in earnest; he will do the other, as you say, only in play. Soc. And can we suppose that he who knows the just and good and honourable has less understanding, than the husbandman, about his own seeds? Soc. Then he will not seriously incline to "write" his thoughts "in water" with pen and ink, sowing words which can neither speak for themselves nor teach the truth adequately to others? Phaedr. No, that is not likely. Soc. No, that is not likely-in the garden of letters he will sow and plant, but only for the sake of recreation and amusement; he will write them down as memorials to be treasured against the forgetfulness of old age, by himself, or by any other old man who is treading the same path. He will rejoice in beholding their tender growth; and while others are refreshing their souls with banqueting and the like, this will be the pastime in which his days are spent. Who would have guessed that a slight, young, recent Oxford graduate who paid for his passage with Robert Falcon Scott's Antarctic expedition would not only survive the ordeal but also write a classic narrative of his adventure? I might have been surprised had I not recently been reading the biography of young Teddy Roosevelt who overcame early physical weakness and dire diagnoses from his doctors to become a legendary explorer himself (and much more). Apsley Cherry-Garrard (known as "Cherry" on the expedition) narrates a story of the expedition that is both a moving account of their fateful Polar journey and a superb group portrait of Scott and his team. The physical ordeals that Scott's team endures, the fateful decisions, hardships beyond imagination and ultimately death are portrayed in a penetrating and suspenseful narrative. One thing that distinguishes Cherry-Garrard's tale are the literary references that inhabit the narrative; from the chapter epigraphs to his own literary writing style they more than embellish an already taut and exhilarating tale. I will set this beside another of my favorite Antarctic adventure narrative, Endurance, Alfred Lansing's narrative of Sir Ernest Shackleton's incredible voyage. I recommend the adventure narratives of both Cherry-Garrard and Lansing to all who love great tales of adventure. The Worst Journey in the World by Apsley Cherry-Garrard. The Adventure Library, 1997 (1922). This is a book of stories within stories. The title character, Lucy Gault, is at the center of these stories, but the genesis of the novel goes back in history for centuries. It is that long that the Gault family has been in Ireland, yet their British origins haunt them to the current day and when uprisings erupt throughout the countryside in the years immediately following WWI, the Gaults (like most Protestant landlords) found themselves in real peril of their lives. When they decide to leave after an attack on their home at Lahardane their plans are disrupted by nine-year-old Lucy who, refusing to go, runs away. When she is found missing the story takes a further turn and the life of Lucy and her parents is literally turned upside down. The remainder of the novel is suspenseful as the story of Lucy develops apart from that of her parents. Lucy lives a life guided by "her obedience to an intention that was entirely her own"(p 209). It is this that both gives her strength to continue to make a home for herself at Lahardane, but it also leads her to make some unwise decisions. These decisions raise the melancholy of her life story to tragedy, or at least semi-tragedy. She demonstrates perseverence that is fueled by a certain strength of character. She delights in the natural surroundings at Lahardane but also the life of her own mind. Lucy loves to read from a young age and she has access to a well-stocked library at Lahardane. During the course of her story the narrator mentions her reading several times, but the title of one book she read seemed an appropriate metaphor for her life, The Diary of a Nobody by by George Grossmith and his brother Weedon Grossmith (p 94). The irony of the title is doubled by the comic content of Grossmiths' short novel. Trevor sets her story against the backdrop of Irish life and history, with the parallels between them never deep below the surface. The result is an exquisite novel that was a joy to read. 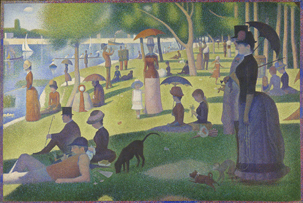 From 1884 to 1886 the French painter, Georges Seurat, devoted himself to painting his masterpiece, A Sunday on La Grande Jatte--1884. He began with detailed studies of the site, recording the location of each tree and natural feature, and creating a pictorial landscape--a "set design" that he would complete with his human subjects. In the park the artist sketched small studies, then returned to his studio to create his large canvas. "He put hundreds of thousands of dots on that canvas. And every one was a separate decision. Some people say there were five million individual decisions. And that is what art is." - Michael Kantor and Laurence Maslon, Broadway: The American Musical (2004). 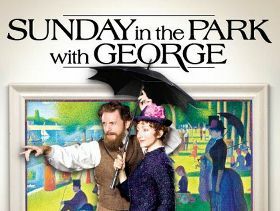 Almost a century after Seurat began his masterpiece, Stephen Sondheim and James Lapine came together to collaborate on the composition of what would become Sunday in the Park with George. The play opened on Broadway on May 2, 1984, with Mandy Patinkin and Bernadette Peters in the lead roles. While it won only two Tony awards that year the following year it won the Pulitzer Prize for Drama and is considered one of Stephen Sondheim's masterpieces. Yesterday afternoon I attended a performance of Sunday in the Park with George produced by Chicago Shakespeare Theater and directed by Gary Griffin. It was a spectacular performance in all its aspects, from the cast, led by Jason Danieley as George and Carmen Cusack as his mistress Dot, to the lighting, design and orchestra. I especially enjoyed the duet "We Do Not Belong Together" by Dot and George, and the magnificent chorus entitled simply "Sunday" sung by the company. Like all great music Sondheim's best work gets better with age and always yields more depth of meaning and beauty. This production by Chicago Shakespeare Theater showed that once more. In 1532 Francois Rabelais wrote a story about the giant Gargantua. For the following twenty years he would continue to write producing Gargantua and Pantagruel, the first great novel in French literature. This novel, in five parts chronicles the adventures of the giant Gargantua and his son Pantagruel. While many consider Rabelais a difficult writer, he is in many senses a modern novelist, rejecting the rules for the novel, if for no other reason than they had yet to be established. His translator, Burton Raffel, in preface to his 1994 edition, describes Rabelais as "something like a cross between James Joyce and Laurence Sterne (the latter, like Rabelais, an ordained clergyman)". Having read both Sterne and Joyce I would agree that Rabelais ' prose is like theirs, difficult but worth persevering. The bawdy humor helps make the reading a little easier, but I most enjoyed the many lists that Rabelais interjected including lists of fools, animals and food, among others. "The coarse jokes, the creatural concept of the human body, the lack of modesty and reserve in sexual matters, the mixture of such a realism with a satiric or didactic content, the immense fund of unwieldy and sometimes abstruse erudition, the employment of allegorical figures in the later books---all these and much else are to be found in the later Middle Ages. . . But Rabelais' entire effort is directed toward playing with things and with the mutiplicity of their possible aspects; upon tempting the reader out of his customary and definite way of regarding things, by showing him phenomena in utter confusion;"
Rabelais demonstrates a freedom of vision, feeling, and thought that has led to his book being banned by some ever since it was first published. Remember "Marian, the librarian" from The Music Man? She was chastised by the town in part because she included Rabelais on the town library shelves. Many other towns, states and countries over the years have banned this book. For both this reason and for the vigorous humaneness demonstrated by Rabelais this is worth reading. If you are a reader like me you may share some vicarious pleasure in a romp through the middle ages with Rabelais. Each of the tales shines a clear light on the character of an inhabitant and you come to know Winesburg almost as well as your own home town. Growing up in a small Midwestern town I never forgot the feeling this book gave me and the appreciation for the genius of Sherwood Anderson. Winesburg, Ohio by Sherwood Anderson. Penguin Classics. Set in 17th century Delft, Holland, the novel was inspired by Delft school painter Johannes Vermeer's painting Girl with a Pearl Earring. Chevalier presents a fictional account of Vermeer, the model, and the painting. It is a beautiful historical novel in which just as Vermeer's paintings are precise evocations of his world the novel is an evocation of another world - that of Vermeer himself. It brings his time alive for the reader and was a joy to read. Tracy Chevalier's inspiration for Girl with a Pearl Earring was a poster of Johannes Vermeer's Girl with a Pearl Earring. She bought the poster as a nineteen-year-old, and it hung wherever she lived for sixteen years. Chevalier notes that the "ambiguous look" on the girl's face left the "most lasting impression" on her. She describes the girl's expression "to be a mass of contradictions: innocent yet experienced, joyous yet tearful, full of longing and yet full of loss." She began to think that the girl had directed all these emotions at the painter, and began to think of the "story behind that look". Chevalier's research included reading the history of the period, studying the paintings of Vermeer and his peers, and spending several days in Delft. Rather than writing a story of Vermeer having an illicit relationship with the household maid, Chevalier builds tension in the work with the depiction of their restraint. As Time magazine critic Sheppard writes, Chevalier presents "an exquisitely controlled exercise that illustrates how temptation is restrained for the sake of art". Music linking lives that intersect with each other is at the heart of this wonderful play from the pen of Moises Kaufman. The play presents the lives of Dr. Katherine Brandt, a musicologist, her daughter Clara, and a young male nurse with whom Clara falls in love over the course of the play. They are juxtaposed in space and time with the lives of Beethoven, his secretary Anton Schindler, and his publisher Anton Diabelli. At the center of the play is a classic piece of music, the Diabelli Variations, that Beethoven wrote from 1819 to 1823. 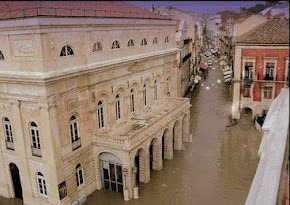 It is composed of 33 Variations on a waltz by Anton Diabelli, Op. 120, and is commonly known as the Diabelli Variations. It is one of the supreme compositions for the piano, it often shares the highest honours with J.S. Bach's Goldberg Variations. Kaufman uses this work as a centerpiece linking thirty-three scenes presenting the lives of the Beethoven scholar, Dr. Brandt and Beethoven as he composes the variations. The scenes bring to vivid life the living, loving, and dying that is part of human life. In doing so it shows the way Dr. Brandt overcomes her illness to complete her study of Beethoven just as Beethoven overcomes his own ailments to create the variations that he finds hidden in the simple waltz of Herr Diabelli. The actions shift from past to present, and built into the play's structure are repetitions, music, singing, and even a fugue. 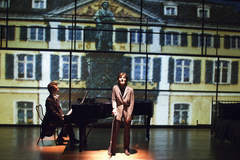 Kaufman impresses as he presents a play with both classical balance offset by radical transpositions of time and place. All inspired by the musical centerpiece--Beethoven's great set of variations that are still seen as radical departures from the classical balance of the musical world into which Beethoven was born. I attended a performance last Sunday and was impressed with the acting which was superb, especially Janet Ulrich Brooks as Dr. Brandt. The direction of Nick Bowling must also be commended as his imagination gives him the ability to make the most out of limited space and a spare set. It is this ability that is demonstrated by Nick and others at TimeLine that I often long for when attending productions at other theaters where the sets overwhelm the action of the play. TimeLine lets the audience use their own imagination by providing just enough of a set for the actors to soar with the words and action of the play. That was certainly the case with this play. While the production was stellar, it was augmented by the imaginative use of lighting and, of course, sections of the Diabelli Variations played impeccably by George LePauw, a gifted professional pianist who serves as the Artistic Director of the Beethoven Festival 2012 held recently in Chicago and produced by the International Beethoven Project. TimeLine Theatre Company, with this Chicago Premiere production, continues to entertain and amaze audiences with theater that some critics have called better than Broadway. The novel probes philosophic issues like this and the question of what constitutes healing, while providing an important example of the complex dynamic between patient and doctor, when both are healed by the fact of their encounter. It is an accurate representation of Nietzsche's thought and presumably Breuer's as well. I would recommend it to anyone interested in the ideas of these thinkers.